International Garden Photographer of the Year is proud to exhibit in the grounds of the world-famous Blenheim Palace for the first time in 2019. Blenheim Palace is the home of the 12th Duke and Duchess of Marlborough and the birthplace of Sir Winston Churchill. 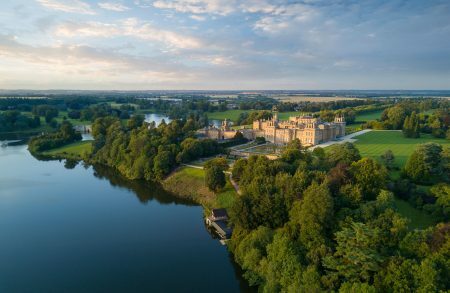 This masterpiece of 18th-century Baroque architecture boasts over 300 years of history and is a World Heritage Site, surrounded by more than 2000 acres of ‘Capability Brown’ landscaped Parkland and Formal Gardens. Blenheim Palace is a garden photographer's dream and the exhibition is a shared celebration of this beauty. The exhibition will be presented on the IGPOTY 14 panel outdoor structure, featuring select winners from the International Garden Photographer of the Year Competition 12. Set amongst the stunning grounds of Blenheim Palace, get ready to be inspired.